CBT, NLP & Counselling - what's different? Therapy: CBT, NLP & Counselling – what’s the difference? Sometimes life is difficult, and we know exactly why. For many people, though, the cause of their unease is not so clear. If you are looking for someone to give you some support with day to day life, to help you create space to find your own solutions or to help change your thinking so it’s more productive and resourceful, then maybe you’ve considered seeking help. It’s not got the stigma from years gone by with an estimated 28% of people having some sort of therapy (ref). If you are considering having some form of therapy it can sometimes be difficult to decide which therapy is best suited to meet your needs. Most people are aware of what counselling is, Cognitive Behavioural Therapy (CBT) is fairly well known these days and of course many people use Neuro Linguistic programming (NLP). Counselling & CBT look to help at the conscious level. As you’ll know from my earlier blogs, our behaviour, thoughts and feelings are driven by our unconscious mind so my view is that trying to solve the problem consciously will potentially bring limited or inconsistent results. NLP Practitioner or Master Practitioner principally uses the unconscious mind to make the change – so moving forward the changes, preferred patterns of behaviour, more positive and resourceful thought processes etc take place automatically at the unconscious level. My views are driven by my personal experience having been at the receiving end of all 3. For me, NLP offered me the tools and ways to bring about long term benefit, and I took it and never looked back! In fact I found the changes so profound, I went on to train in NLP and now I train others to be NLP Practitioners and Master Practitioners so they can go on to help others. Counselling is referred to as a talking therapy and has been around for a very very long time. It gives people the opportunity to express feelings, explore difficulties or things they find distressing, with the counsellors role being to listen in order to understand, reflect, help you clarify the problem and enable you to see more choice or different ways of addressing the issue. Counselling can be good for people who would like space and time to verbalise their thoughts and feelings (to off load) and where people feel that they would benefit by being listened to – however this isn’t for everyone. The Counsellor does not offer any advice or solutions themselves that will enable the underlying issue to be sorted, rather they allow the individual to discover new options or perspectives as a result of talking the personal problem through. The principle is to help people become more consciously aware of the pattern of their thinking – like NLP it acknowledges the link between thought, feelings and actions/behaviour, but the challenge for CBT is that most thought is unconscious and CBT does not work with the unconscious mind -CBT helps people build a conscious understanding of these connections. Most often, our thoughts ‘run away’ with us, and before we know it, the ‘behaviour’ or ‘pattern’ is running at full pelt – to try and work with the problem at this stage is very hard. CBT looks to discover the triggers and behaviours so that more useful strategies can be developed which is helpful on one level, but not as helpful as understanding the unconscious patterns and fixing these. CBT requires the individual to talk honestly about the problems they are experiencing with their practitioner, whilst also exploring the linkages using the CBT framework (see image), whilst also trying to challenge their own thoughts, beliefs and attitudes. CBT has some similarities with NLP in that it’s philosophy is that the content of our thoughts have a major influence on our emotions and behaviour. However CBT and NLP differ in the way they help their clients – CBT looks to help you make sense of the problems you may be experiencing in the moment by using the framework to consciously think of changes you can make, whereas NLP looks to change the underlying patterns/strategies so that the problems don’t reappear. CBT critics talk about the fact that ‘at best CBT delivers inconsistent results’ – you will find some people who believe CBT made huge differences for them and on the other end of the scale those that say it did nothing for them. My belief is that CBT’s biggest limitation is it’s reliance on the conscious mind – acknowledged by many CBT authors who recommend ‘the need of consistent practice’. It’s like the difference between trying to change a habit consciously (which some say 21 days of consistent practice, and even then for some it doesn’t work) vs. NLP which can change habits unconsciously in a matter of minutes, not days (by making the change unconsciously and in my practice has had a 100% success rate to date). Created in the 70’s (around the same time as CBT came to the for), NLP is all about making changes at the unconscious level – so the change in your thinking becomes automatic – you do not have to consciously think about it or remember to behave or think differently (it’s a lot faster at fixing the issue than CBT as well). 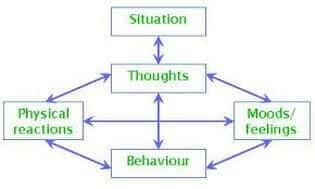 Both counselling and CBT help the individual to gain a conscious understanding of the problem initially by talking through the detail with a practitioner – whereas NLP dosen’t always require the individual to share at length or work on problems openly in order to for it to be successful (which many individuals prefer). As long as the client shares enough, the Practitioner will be able to help the individual fix the problem (providing the individual follows the Practitioner’s instructions). 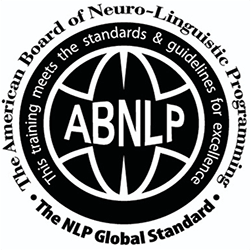 NLP offers a ‘toolkit’ of techniques and a mindset that is based on the study of human excellence. There are a great many tools in our toolkit – so we have a choice over how we can help people (if for example a client doesn’t particularly ‘get’ one technique, we’ll have another one we can use instead to bring about the desired change). NLP offers solutions for people, is very practical and enables changes to be made quickly (often in less sessions than CBT). The critics of NLP refer to it’s lack of ‘research’ that proves how it works. NLP has never been obsessed with the need to scientifically prove how it works (unlike the CBT community who have invited astronomically in this pursuit) – NLP has always been more obsessed with the fact the techniques and mindsets work and that we should get on with using them and making a difference and let others worry about proving how it works scientifically (which Neuroscience in part has started to do). NLP offers a therapy that does not require individuals to discuss their problems at length in order to provide the solution – NLP is more focused on the client fixing the unconscious problem so that it’s fixed and dealt with. Which therapy would I use? If it was my close family member that needed help, what would I recommend? I have personally experienced all 3 (and the fact I trained to become an NLP Trainer probably gives away what I’m about to say!) – the major reason I favour NLP is this ….. all behaviour, thoughts and emotions are connected and most importantly are driven by the unconscious mind – you don’t do this stuff consciously – so therefore why would you opt for a therapy that tackles the problems consciously?! – it simply doesn’t make sense to me. Would attending the NLP Practitioner course help me with my mindset? Yes. It helped me. I was suffering with depression and anxiety when I attended my NLP Practitioner course. I had been given Counselling through the NHS, my private medical insurance from work had paid for CBT and I felt I had not made substantial steps forward. I took redundancy from work and in Wales we’re very lucky that if we are made redundant we can apply to Welsh Government for ReAct funding to pay for training that helps us become more employable (i.e. helps us get another job). As an HR professional and Coach it was easy to create a link between the course and my role and I got the funding. 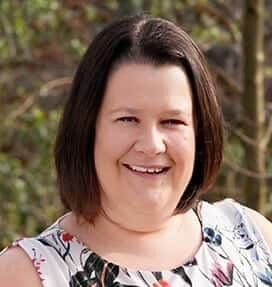 Whilst the NLP Practitioner course helped me hugely from a work perspective, this was VASTLY outweighed by the personal benefit I had – I got rid of things that had held me back for years, sorted out some of my really unhelpful thinking patterns, and Time Line Therapy™ was particularly powerful. I’ve never looked back! How do I become an NLP Practitioner so I can help others? We offer the full range of NLP Courses from Certified NLP Practitioner where most people start their NLP Career, to NLP Master Practitioner. We offer the NLP Coach and the much sought after Master Coach qualifications as well as qualifications in Hypnosis and Time Line Therapy (which is an advanced form of NLP). The combined skills, knowledge and experience that all these courses provide means you have a fantastic toolkit to help people!